Welcome to Gateway Lodge No.29, F.& A.M. of Clearfield, Davis County, Utah, U.S.A.
We're Utah Masons, The nations most respected and longest standing American organization, the world's oldest fraternal organization. The stated regular meeting of Gateway Lodge No.29 is held on the 2nd Tuesday of each month at 7:30 pm (Except for Jul and Aug), Our Fellowship Dinner begins at 6:30 pm. Our weekly meet up is held on every Tuesday at the Lodge building, between 6:00 pm to 7:00 pm, Please come meet us and discover even more about Utah Masons. Masons are Men, aged 18 or older, who want to be part of something bigger than themselves without losing their sense of individuality. 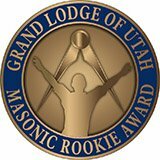 Utah Masons are a group of good men with tight fraternal bonds. We are men of good character who value personal decency and personal responsibility. We're committed to expanding our knowledge of the world around us. We study philosophic truths from many cultures. We are believing men, but Masonry is not a religion. Men from any religion can join and find the basic principles that are common to all religions. Have you ever wondered, "What is Freemasonry? ", or why so many great men throughout history have been Freemasons? Freemasonry is a ancient initiatic order. It is a beautiful system of morals, veiled in allegory, and illustrated by symbols. The symbols and the lessons they teach aid each Mason in coming to his own conclusions to life's important questions. Thus, some Masons are concerned with charity and philanthropy, some with fraternity, and others with philosophy. One idea that all Masons accept is that Freemasonry, itself, is large enough to accommodate each kind of Mason. The diversity of Freemasonry is its strength. We are all bound together by our endeavors to polish and adorn our minds, bodies, and spirit in our pursuit of more light. Interested? We better ourselves. The purpose of Masonry is to provide good men with the tools to make themselves ever better and we know that if we are better men, we can make a better world. We are Utah Masons, working to make good men better. The stated regular meeting of Gateway Lodge No.29 is held on the 2nd Tuesday of each month at 7:30pm (Except for Jul and Aug). Please arrive early to join us for our Fellowship Dinner that begins at 6:30 pm. Because you'd be welcome here, and because a lot of us feel like we are not as well informed, or compassionate or trusting as we should be in life. We work being better at those things, and its much easier when you're around other good people. We rely on each other. This is a place where men of all faiths and means come together at the same level, as brothers. We come from all walks of life and meet as equals. With any group, you get from it, what you put into it, and that's especially true with Masonry. You don't need to be invited. The only way to become a Freemason is to ask a Freemason. This process is as old as the fraternity itself and ensures that the individual seeking membership is doing so of his own desire and of his own free will. Masonry is rooted in the past but IN SYNC with the modern pace of life. These days, it seems none of us has enough time. We get that, which is why we get together in lots of different ways. 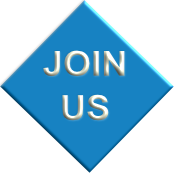 We have regular meetings, but we also respect busy lives when it comes to scheduling events, parties, and activities, Come find your niche. We value individuality. You set the pace you engage in Masonry. We don't have a strict schedule for you to follow. Each member forges his own path within the larger practice of Masonry. Order Of The Eastern Star: Adults, Open to Ladies with specific Masonic affiliation, and Master Masons. Order of DeMolay: Youth group for young men between the ages of 12 to 21. Job's Daughters International: Youth group for young ladies between the ages of 10 to 20. (Jobie-2-Bee Program: Ages 7 to 9). We have a great time with our friends and we bring our families along. Often we combine family events and charitable activities, so we can have some fun and do some good at the same time. Do something great for yourself and for your family. For more details, please check out our Masonic Family Links below. Ancient Relevance: Freemasonry is a craft for making good men better, and today's generation is seeking exactly what we have to offer: direction and purpose. Our practices are done with an eye toward relevance, especially to the unique perspective of today's man. We come from all walks and stations of life and meet as equals. A core tenant of being a better man is caring about what goes on around you. We believe in improving ourselves along with improving our communities. Masonry is a organization for the ages. Freemasonry is the worlds oldest and largest Fraternity. Our history and tradition date back to antiquity. Its singular purpose is to make good men better. Its bonds of friendship, compassion, and brotherly love have survived even the most divisive political, military and religious conflicts throughout the centuries. Gateway Lodge No.29, F.& A.M. was Instituted on Sept 14, 1954, Recognized and chartered in Jan 1955 by the Grand Lodge of Free and Accepted Masons of Utah and the United Grand Lodge of England, and Constituted on Feb 5, 1955. We began as the Hill Field Masonic Club, and then went on to become the first Masonic lodge to be located in Davis County, Utah. We have a steadfast partnership with our local community and Hill Air Force Base. We enjoy frequent visits from Sojurning Masons, and Men interested in Freemasonry. Worshipful Master James Stolhand, P.M.
Trustee-3 year Samuel Harris, P.M.
Trustee-2 year Joe Darling, P.M.
Trustee-1 year George Cherry, Jr., P.M. Donations: To make a donation to Gateway Lodge No.29, we have provided this button, Thank You! www.gateway29.org - Copyright © 2005 - Property of Gateway Masonic Lodge No 29, F.& A.M. of Utah - All Rights Reserved.